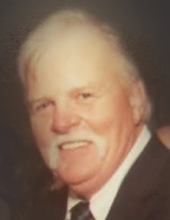 Timothy M. “Tim” Greaves, age 71, of Brady Twp., passed away on Thursday, February 7, 2019 while under the care of Good Samaritan Hospice in Wexford. Born December 13, 1947 in Buffalo, NY, he was the son of the late Thomas W. Greaves and Dolores K. Stephan Greaves. Tim proudly served our country in the Air Force during the Vietnam War. He was a loving husband, father, brother and uncle who will be dearly missed. He leaves behind to cherish his memory his wife, Suellyn Bunnell Greaves, whom he married on July 2, 1977; his children, Daniella (Jason) Ross of Gilroy, CA, Danielle Greaves of Pittsburgh, and Shannon (Sean) Edwards of Valencia; his brother, Thomas Shawn (Nancy) Greaves of Alden, NY; and his sister, Anita Greaves of Buffalo, NY. In addition to his parents, Tim was preceded in death by his sister, Sandra Kurtz. A friends and family gathering will be held from 5 P.M. until the time of the memorial service at 7 P.M. on Wednesday, February 13, 2019 at the Boylan-Glenn-Kildoo Funeral Home, Inc., 130 Wisconsin Ave., Cranberry Twp., PA 16066, with Pastor Reid Moon, officiating. If desired, memorial donations may be made in Tim’s honor to the National Kidney Foundation, ℅ Finance Department, 30 East 33rd St., New York, NY 10016. To send flowers or a remembrance gift to the family of Timothy "Tim" M. Greaves, please visit our Tribute Store. "Email Address" would like to share the life celebration of Timothy "Tim" M. Greaves. Click on the "link" to go to share a favorite memory or leave a condolence message for the family.